Have you been writing QuiBids product reviews this month? The more reviews you write, the better your odds of winning a totally free drawing for an iPad Mini! Pretty straightforward deal, no? The only big hurdle in your way is actually writing those reviews so that they’ll meet our guidelines. So where do you start? And what are you going to cover in your review? We already offered a couple of tips in the original blog post about this contest, so we thought we’d give you some examples of reviews that will get published on the site and ones that won’t. This Juicer is just absolutely perfect! 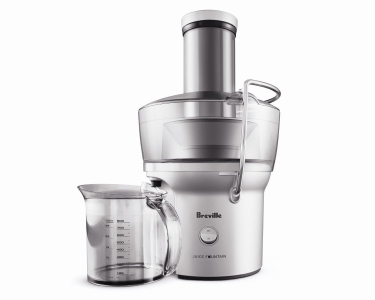 Breville did a great job of compacting all the features of a top of the line juicer into this one. It has a great look and smart design so it doesn’t take up too much space. This juicer definitely packs a punch. The motor is powerful which is great. I don’t have to chop or do minimal chopping for most fruits and vegetables! You can just drop the whole fruit in which is great for retaining those important nutrients. I would recommend this to anyone, from the avid juicer or someone who is just trying to add a little extra nutrition to their diet. Oh…The best part? Clean-up is a breeze!! It includes a good description of how the product can be used. The writer offers helpful tips on how to use it. It uses a recommendation to point out the type of customer who would get good use from the product. This little speaker rocks, literally! I’ve come to love this cute little chic speaker and take it everywhere with me. I love that I can use it for just about anything. I work from home so I frequently use it for conference calls and such. Let me tell you the call quality is great. I can hear the other side clearly and they can hear me clearly, much better than using the speakerphone option on my house phone/iPhone. 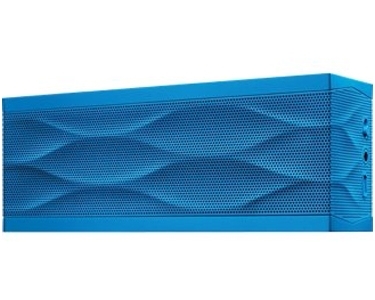 But this speaker rocks for work and play. I use it all the time for just lounging around the house and wanting some back ground music. It packs a punch and is great for entertaining too. No matter how loud I turn it up, I never get any interference or distortion from my Jambox. For the price, this is a great compact and stylish audio solution. It features a detailed description of user’s experience with the product. It describes the product’s functionality. It references the price as a helpful comparison. I had heard a lot of talk about how awesome this portable speaker is supposed to be. I honestly wasn’t that blown away. There aren’t really any major defects and it works fine, but I was expecting a more full sound. I think that the sound power is a little exaggerated. I find that you get better performance from full stereo systems as opposed to this little speaker. It may be useful however if someone buys it as more of an amplifier rather than expecting the results of a full audio sound. The customer’s dissatisfaction is adequately explained. So disappointed that I wasn’t able to win this in an auction. I almost had it but I was outbid at the last second. I ended up just doing a buy now. I do enjoy the juicer though. So I guess it’s not too bad. The review describes the auction more than the actual product and is therefore unhelpful to customers. Trying to live healthy and add nutrition to your diet. Try HerbalLife! If interested contact getfitwithherbalife.carol@quibids.com …. Soliciting or spamming the site is not allowed. It doesn’t even mention the product. The review is for a different product. i.e. “I found it way cheaper on Amazon, NewEgg, etc. Uses inappropriate language or difficult-to-understand jargon. Good luck to all our customers writing product reviews this month, and don’t forget that the more you write, the more chances you have to win the iPad Mini! We’ll announce the winner at the end of April. And don’t hesitate to contact QuiBids Customer Support if you have any questions.